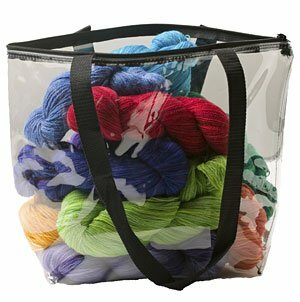 Keep your knitting projects and supplies in these clear zippered bags. Measures approx. 20.75"L x 11.25"H x 8.25" W, with web straps so you can comfortably hold your project bag or sling it over your shoulder.